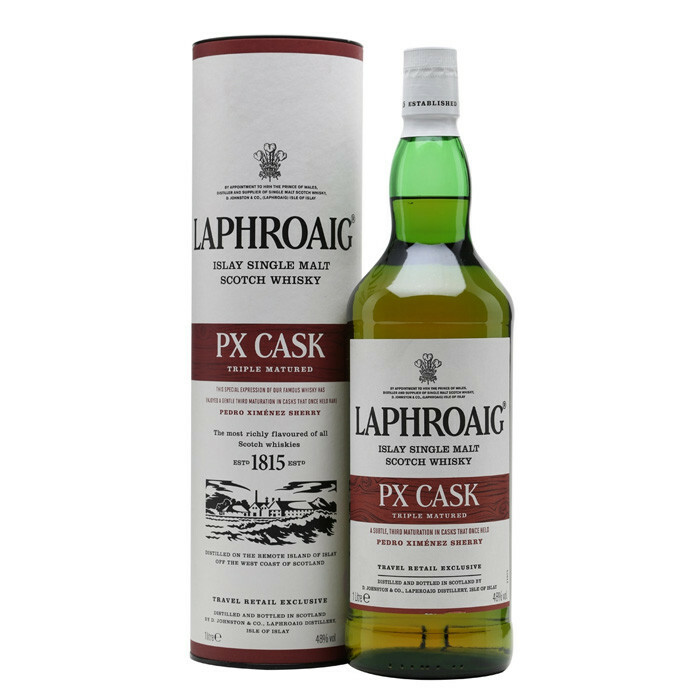 The Laphroaig PX Cask is made with whisky matured in three types of cask - American oak casks, Quarter casks and the titular Pedro Ximénez casks. This leads to a flavour profile which ties together classic, powerful Laphroaig smoke and wine-like sweetness. It was originally released for Travel Retail. Nose: B From the bottle there is a nice sherry aroma of sweet sultanas and raisins with a hint of sweet liquorice and only the slightest tang of peat.